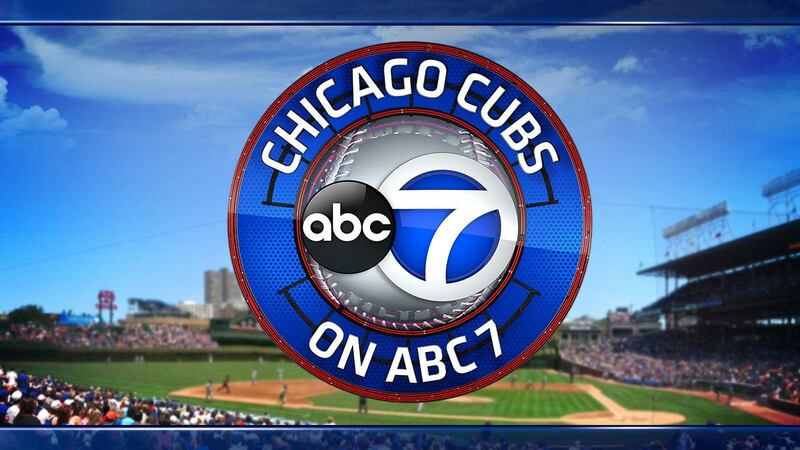 CHICAGO (WLS) -- Cubs baseball ratings on ABC 7 are red hot. During the Cubs/White Sox big showdown on August 15, ABC 7 notched a 7.6 HH rating, the highest rated local Cubs broadcast of the season-to-date. In the key Adult 25-54 demo, ABC 7's 3.5 rating is the highest of the season for a local broadcast. In addition, the ABC 7 Cubs broadcast was the highest rated television show in Chicago that evening. Approximately 264,000 Households and 377,000 Adults 18+ tuned in. This is the first season Cubs baseball has been broadcast on ABC 7 since the 40s. "In their inaugural season with ABC 7, we couldn't be more thrilled with the performance of the team and the value Cubs baseball brings to our advertisers," said John Idler, President and General Manager, ABC 7.